I met him at Jack Russell Memorial Stadium in Clearwater, Florida in 1997, when the Boston Red Sox came to play the Philadelphia Phillies in a spring training game. 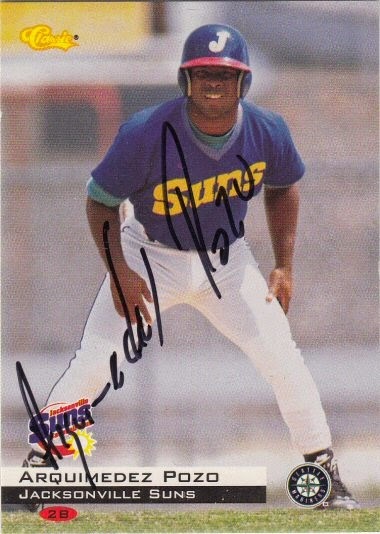 Arquimedez signed a 1994 Classic card #198. I wonder where he is now. The most comprehensive MLB player address list around doesn't have him and it has everyone.